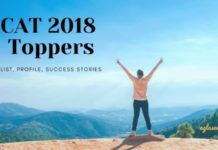 CAT 2018 – Result has been announced on January 05, 2019 at 10:00 AM. The candidates can download their score card for CAT 2018 through the Candidate login by providing their User ID and Password. Furthermore, candidates who had raised objections will receive individual responses to their respective objections over their registered email ID. The Common Admission Test (CAT) was held on November 25, 2018, at 374 centres for 2.41 lakh applicants. Score for CAT is used to shortlist candidates for GD / PI process. 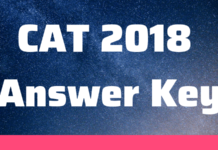 Get here complete details of CAT 2018 including the answer key, response sheet, analysis, result, cut off. Latest: Result of CAT 2018 has been announced today. Click Here to download your Scorecard. Exam conducting body IIM Calcutta conducted CAT exam 2018 in two slots on the same day. As per official report, 2.41 lakh candidates registered for Common Admission Test (CAT 2018), which is 5.2% more than last year. Also, number of female applicants is up by 50% since 2013. Now all candidates who appeared in exam can check CAT 2018 Result as per schedule. CAT 2018 Important Dates:- Candidates can check complete schedule of CAT exam in the following table. Options beyond CAT exam – Besides CAT 2018, candidates can appear in a number of other MBA entrance exams 2018 / MBA entrance exams 2019 for admission in academic session 2019-2020. A few whose registrations are most likely still going on or will begin are IBSAT 2018, IGNOU OPENMAT 2019, IRMASAT 2019, KIITEE 2019, MAT 2019, AMU MBA Entrance Exam 2019, CMAT 2019, A few state level exams are Karnataka KMAT 2019, KMAT Kerala 2019, MBA CET 2019, AP ICET 2019, TS ICET 2019, HPU MAT 2019, UPSEE MBA 2019. 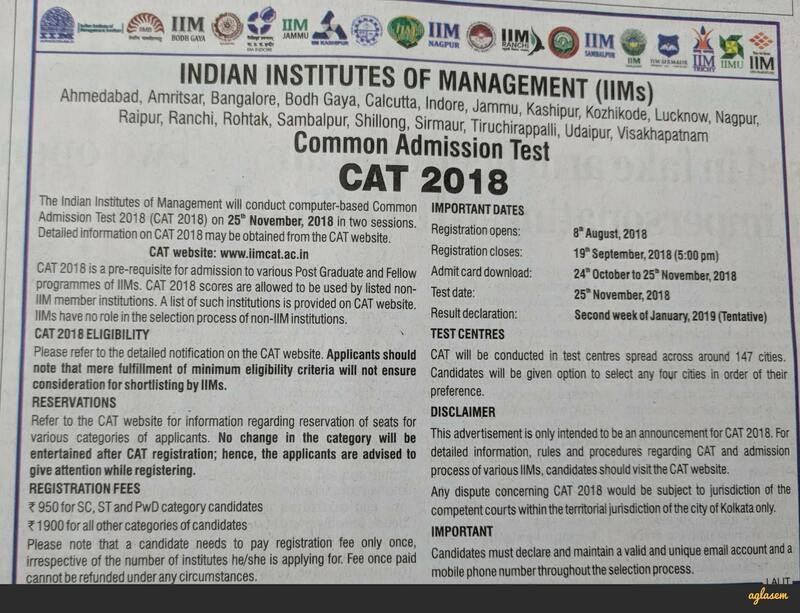 IIM Calcutta has declared CAT Result 2018 at iimcat.ac.in. Result of CAT exam indicates scaled scores and percentiles. B-Schools including IIMs, shortlist candidates for GD/PI/WAT on basis of percentiles. 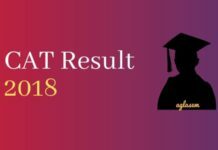 Get here complete details of CAT 2018 Result including date, scorecard, how to check, what after result, MBA / PGDM admission through CAT, percentile, cut offs. Anyone who appears for CAT exam dream of scoring a perfect 100 percentile and get admission in the top IIMs. Here we are going to provide the list of toppers who scored 99+percentile in the CAT 2018 examination. Know CAT percentile against CAT score by going through data below. Following is based on an analysis of past year actual CAT scaled scores and percentile. Candidates have submitted their objections to answers at iimcat.ac.in. An expert committee looks into them to create a final answer key. CAT Result 2018 shall be as per final answers. Decision of IIM Calcutta in this regard shall be final and binding. After conducting the exam, IIM Calcutta released the CAT 2018 question paper and answer key. Last year was the first time that IIMs officially released answer key. IIM has followed the same trend this year as well. It was a welcome move for students as the issuance of official answer key makes it more transparent to know correct answers. Candidates can download it from candidate login available on the official website. The Unofficial Answer Keys were released by coaching institutes like TIME and IMS. Candidates have an opportunity to calculate their score as per CAT 2018 Answer Key and Response sheet. By issuing both response sheet as well as answer key, IIM Calcutta has made the CAT exam extremely transparent and fair for all. For the first time in the history of CAT exam, response sheet was released. IIM Calcutta published response sheet of CAT exam on November 30, 2018. Response sheet of CAT exam indicates answers marked by candidates. By accessing it, candidates can see which were the answers that they had selected in the computer based test. An in-depth analysis of CAT exam has been published after exam on November 25, 2018. Candidates can know what experts thought about the exam and whether cut offs will go up or down as per it. 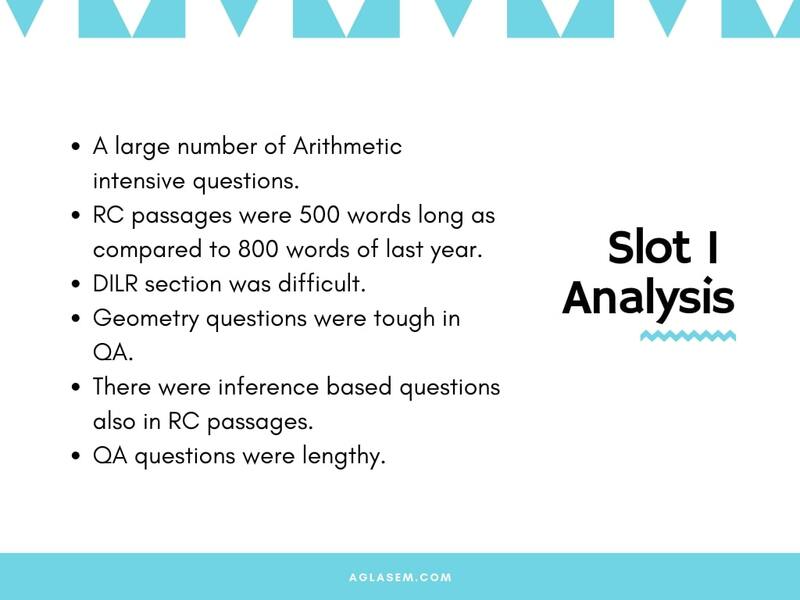 Exam Pattern – In CAT 2018, both slot 1 and slot 2 had the same exam pattern. For every correct answer, you get +3 marks. There is no negative marking for non-MCQs. 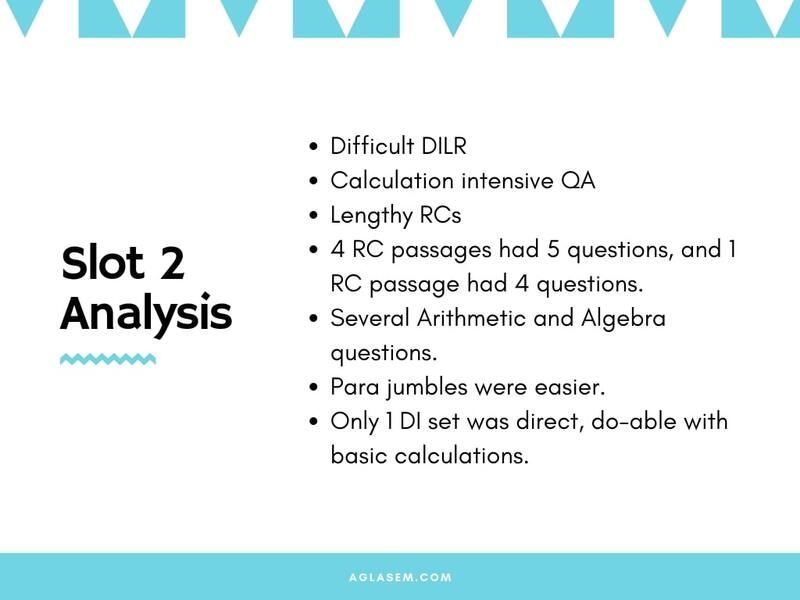 The most difficulty section in the examination was Quantitative Ability. Most easiest section was Verbal Ability and Reading Comprehension. For DILR, the reaction of the candidates was 50%-50%. While some found it tough, others said it to be very easy. The checking at the exam hall was very strict. Candidates who did not reach the exam hall at the time were not allowed to enter the exam hall. CAT 2018 Slot 2 got over at 05:30 PM. The Quantitative Section was of the same difficulty level as Slot 1, i.e, DIfficult. Students said that it was lengthy for Slot 2. The most easiest section was Verbal Ability and Reading Comprehension. The question asked in this section were straight forward. IIM Calcutta has issued the CAT 2018 Admit Card on 24 October 2018. Candidates can download admit card of IIM CAT 2018 from iimcat.ac.in as per schedule and print it. Take the print out of the official CAT Hall Ticket to the exam center. How to print the CAT Admit Card? Navigate to admit card link. Once you login you will see admit card on the screen. CAT 2018 will be held in multiple shifts on November 25, 2018. The Morning shift is from 09:00 AM – 12:00 noon and Afternoon shift is from 02:30 PM – 05:30 PM. 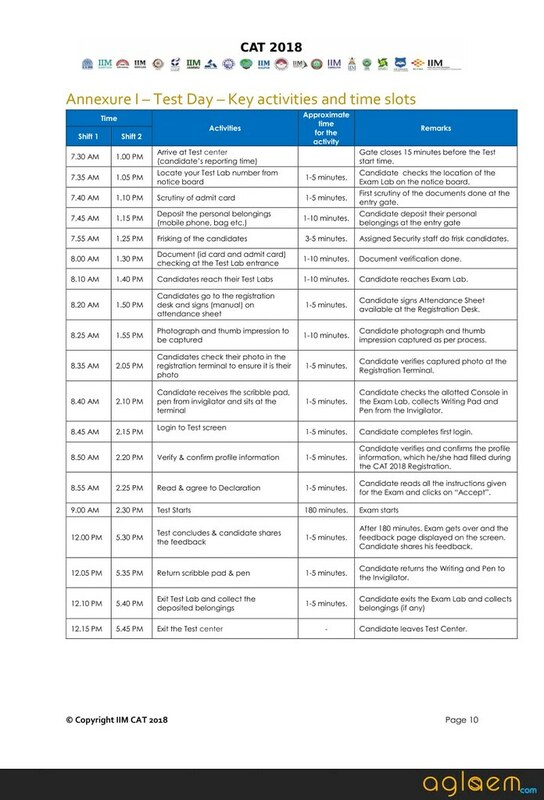 Those who will be appearing for the CAT exam in morning shift have to report at the test center at Candidates are advised to report at 07:30 AM for the morning shift and at 01:00 PM for the afternoon shift. Make sure that the images on the CAT 2018 Admit Card are visible. Hence, take a color laser print out of the CAT Admit card on an A4 size sheet. The candidates will be distributed Writing pad pages for the test. Hence, it is advised that the candidate should not waste Writing pad pages as it is distributed only once per Candidate during the course of the Exam. Online application form for CAT 2018 is available from 8 August to 26 September 2018. Within the given timeline, candidates have to fill the form, pay fee, and submit it. Candidates may note that centre allotment shall be only after last date of CAT 2018 registration. Therefore one need not rush to fill the form only to get centre of choice. However it is advisable to fill the form early to avoid last minute rush. Application fees: SC/ST: Rs 950, Others: Rs 1900. Candidates can register online at iimcat.ac.in. In order to register, visit official website iimcat.ac.in and navigate to apply online link. Then one by one fill all details that are asked in the form. After filling all details, pay fee (online mode payment only) and submit form. Step by step guide on how to do registration will be updated here on 8 August when registration starts. Candidates must fulfill eligibility criteria of IIM CAT 2018. It is given below so that you can check now and then apply. Candidate should have Bachelors degree with minimum marks:- General: 50% marks, SC/ST/PWD: 45%. Those who are in final year of Bachelors degree can also apply subject to fulfilling criteria. Completed Bachelors degree with minimum marks. Completed professional degree (CA/CS/ICWA) with minimum percentage. Is in final year of Bachelors. For the Common Admission Test, there is no fixed syllabus per se. However a study of past year exams reveal a certain set of topics which can be considered as the syllabus for CAT 2018. CAT 2018 Syllabus for VARC is as follows. Synonyms Antonyms (Vocabulary Based), etc. CAT 2018 Syllabus for DILR is as follows. CAT 2018 Syllabus for QA is as follows. Duration: CAT 2018 Exam will be 3 hours or 180 minutes. Sectional Timing: Each section will have a time duration of 60 minutes. Types Of Questions: CAT 2018 paper will contain MCQ and TITA questions. Marking Scheme: Negative marking of -1 for every wrong answer. However, there will be no negative marking for non-mcq type questions. 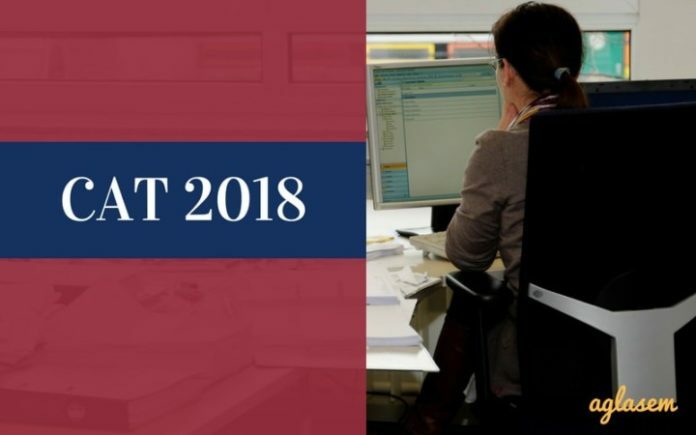 CAT 2018 Notification has been released on 29 July 2018. The notification has been publicised on iimcal.ac.in, iimcat.ac.in, and published in various newspapers. You can read it here. Click here to download CAT Notification and read it in a separate window. On 28 July 2018, IIM Calcutta has published the media release at iimcat.ac.in. The media release is given below. Click here to download media release in PDF format and read it in a separate window.